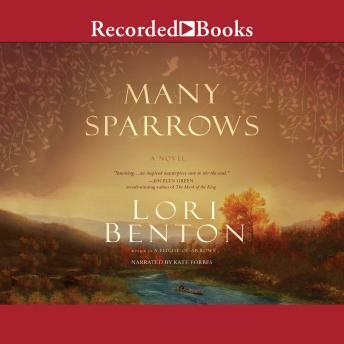 With stirring storytelling evocative of Diana Gabaldon and Francine Rivers, this epic eighteenth-century novel transports readers to the Ohio-Kentucky frontier and a monumental encounter over a stolen child. When settler Clare Inglesby is widowed on a mountain crossing and her young son, Jacob, captured by Shawnees, she'll do everything in her power to get him back, including cross the Ohio River and march straight into the presence of her enemies deep in Indian country. Frontiersman and adopted Shawnee, Jeremiah Ring, promises to guide Clare through the wilderness and help her recover Jacob. Once they reach the Shawnees and discover his own sister, Rain Crow, has taken custody of Jacob-renaming him Many Sparrows-keeping his promise becomes far more complicated, the consequences more wrenching, than Jeremiah could have foreseen. Fearing the sacrifice required is beyond what he's willing to make, Clare devises her own plan to free her son-one that could lead to the disasters Jeremiah is trying to prevent. As feelings for Clare begin to stir his long-guarded heart, he must convince her that they will have to do the hardest thing of all if she hopes to see her son restored to her: be still, wait, and let God fight this battle for them.